Cornerstone: The Moving Toyshop by Edmund Crispin. Edmund Crispin's Gervase Fen series has a delightful screwball quality to it, as evidenced in Crispin's Love Lies Bleeding: "... the boys sang [the school song] with the exuberance of reprieved assassins." In The Moving Toyshop (1946), Oxford professor Fen (who sounds remarkably like the White Rabbit from Alice in Wonderland) seeks to resolve the mystery of a murder victim found in a toyshop, which is replaced by a grocery store the next day, with no sign that a corpse ever existed. A notable and hilarious sequence is when a cohort of Fen's enlists a group of inebriated Oxford undergraduates as muscle merely on the promise of a drink. Crispin is the pseudonym of composer Robert Bruce Montgomery (1921-78), who worked on scores for six "Carry On" films and some of the "Doctor in the House" series; he also edited some science fiction collections. There's a new biography, Bruce Montgomery/Edmund Crispin: A Life in Music and Books by David Whittle, out from Ashgate. Maggie Topkis's Felony & Mayhem Press has reprinted several titles in the Fen series: The Case of the Gilded Fly, Swan Song, and Holy Disorders, and will be reprinting Love Lies Bleeding (also an entry on the Haycraft-Queen list) later this fall. 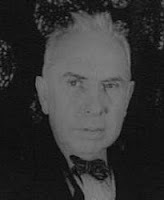 Sister Carrie author Theodore Dreiser, who earns a place on the Haycraft-Queen Cornerstone list via his novel An American Tragedy (1925), was born today in Indiana in 1871. He died in 1945. An American Tragedy, made into the Elizabeth Taylor-Montgomery Clift film A Place in the Sun (1951) and a Met opera (2005), was based on the 1906 Grace Brown murder case in New York. Chester Gillette was convicted of the crime and died in the electric chair on March 30, 1908. An American Tragedy was banned in Boston in 1927, with one court charging that the book "manifestly tend[ed] to corrupt the morals of youth." Happy birthday, Earl Derr Biggers. Playwright and writer Earl Derr Biggers, the creator of wise Chinese Hawaiian detective Charlie Chan (played memorably by Warner Oland, left), was born today in Ohio in 1884. Chan made his debut in The House without a Key (1925), which was followed by The Chinese Parrot (1926), Behind That Curtain (1928), The Black Camel (1929), Charlie Chan Carries On (1930), and The Keeper of the Keys (1932). Wrote the New York Times a week after Biggers's death on April 5, 1933, "The creator of Charlie Chan will be missed all the more because the detective novel of today is in danger of becoming a mechanical and lumbering exercise [. . . Biggers] had . . . the swift forward movement of the true detective tale. With him we are on the trail of a slayer and not putting together a jigsaw puzzle." Popular Western writer and poet Bret Harte was born today in 1836 (he died in 1902), and multiaward-winning Carolyn Hart, creator of sleuths Annie Darling, Max Darling, and Henrie O and the pride of Oklahoma, turns 71 today. Hart's latest novel is Set Sail for Murder. The illustration below is a poster for a ca. 1900 production of Harte's M'Liss. Happy birthday, A. S. Byatt and Mason Williams. A. S. Byatt, the author of Possession, one of my favorite novels of literary detection, turns 71 today; and Mason Williams, the Grammy-winning composer of "Classical Gas" and Smothers Brothers show writer, turns 69. Go here for a Williams performance of "Classical Gas." Actress Vera Miles turns 78 today. 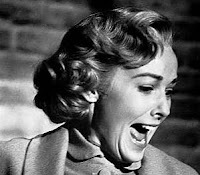 She played Henry Fonda's wife in Hitchcock's The Wrong Man (1956) and Janet Leigh's sister in Psycho (1960); her other numerous mystery credits include Burke's Law; Cannon; Checkmate; Columbo; Dan August; The Detectives Starring Robert Taylor; Ellery Queen; The FBI; The Fugitive, Hawaii Five-O; Ironside; I Spy; Judd for the Defense; Magnum, PI; Mannix; Owen Marshall, Counselor at Law; Matt Houston; Murder, She Wrote; Simon & Simon; The Streets of San Francisco; and 23 Paces to Baker Street. James Gould Cozzens, who won the Pulitzer Prize for his 1948 novel Guard of Honor but also has a place on the Haycraft-Queen Cornerstone list for his 1942 novel The Just and the Unjust, was born today in 1903. He died in 1978. The Just and the Unjust centers on a murder trial in a small Pennsylvania town, with Cozzens's careful attention to legal procedure and the main character, a young assistant district attorney who wrestles with questions of justice and ambition. Time magazine called The Just and the Unjust "as skillfully served up as The Postman Always Rings Twice [and . . .] the year's most interesting literary disappointment." Yet Time put Cozzens on the cover of its Sept. 2, 1957, issue, calling him "the Garbo of U.S. letters" in its accompanying story. Edgar and Anthony nominee Steve Hockensmith, creator of those Western "deducifyin'" brothers Otto and Gustav Amlingmeyer, turns 39 today. The latest book in his entertaining series is On the Wrong Track. For my interview with Hockensmith, go here. Australian-born author Garry Disher turns 58 today. His latest police procedurals featuring Inspector Hal Challis are Snapshot and Chain of Evidence (published by Soho Press). In addition to writing crime novels, Disher has taught creative writing and published children's books. Here are his rules on writing for children (although some, such as "You shall treat the outer and inner challenges of life with honesty, integrity and hard thought, avoiding easy answers, no answers and reductive sentimentality," can be applied more widely). "Detective authors, by the way, are nearly all as good as gold, because it is part of their job to believe and to maintain that Your Sin Will Find You Out. That is why Detective Fiction is, or should be, such a good influence to a degenerate world, and that, no doubt, is why so many bishops, school masters, eminent statesmen, and others with reputations to support, read detective stories, to improve their morals and to keep them out of mischief." Born today in 1876 was author Mary Roberts Rinehart, whose highly lucrative writing career spanned nearly 50 years, from her first novel, The Circular Staircase, in 1908 and the creation of nurse-detective Hilda Adams, aka Miss Pinkerton, in 1914, to the collection of Letitia Carbury stories, The Best of Tish, in 1955. One of the earliest American women war correspondents and a trained nurse, she went to France to cover WWI for the Saturday Evening Post. She died in 1958 and is buried in Arlington National Cemetery (her husband, Stanley, served in the US Army Medical Corps). For a look at MRR's impact on the bestseller list, see Michael Korda, Making the List: A Cultural History of the American Bestseller, 1900–1999 (Barnes & Noble, 2001). Korda notes that the first time an American detective story appeared on the bestseller list was in 1909 (4). It was Mary Roberts Rinehart's The Man in Lower Ten, one of my favorite MRR works for its hilarious send-up of the amateur detective. For a look at some vintage dustjackets of MRR's work, go here (note that the bookmark for The Man in Lower Ten is taken from artwork by Howard Chandler Christy; he illustrated the original edition). Over the years, Academy Chicago Publishers has showcased gems of mystery literature in inexpensive editions (e.g., Celia Fremlin's Edgar-winning The Hours Before Dawn). That's certainly the case with Leo Bruce's Murder in Miniature and Other Stories, introduced by Margery Allingham Society chairman B. A. Pike. Bruce, aka Rupert Croft-Cooke, created the stalwart Sergeant Beef as the deliberate antithesis of aristocratic sleuths such as Lord Peter Wimsey. This collection of tales—which largely appeared in the Evening Standard in the early 1950s—feature him, the equally shrewd Sergeant Grebe, or others in delightful puzzle mysteries. In "Murder in Miniature," the title story, Beef confronts the body of a dwarf that literally tumbles into his lap on a train. I particularly enjoyed "On the Spot," in which a detective inspector believes he can commit the perfect crime. Sergeant Beef also can be seen in Academy Chicago's The Case for Three Detectives, where he is pitted against parodies of Wimsey, Poirot, and Father Brown. In addition to producing his substantial fiction and nonfiction work, Croft-Cooke served as book critic for The Sketch. His play Banquo's Chair was adapted for Alfred Hitchcock Presents (1959). 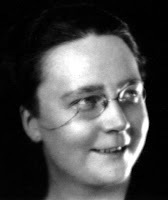 MWA Grand Master Dorothy B. Hughes was born today in 1904, and author Frances Noyes Hart was born today in 1890. Hughes (seen at left) is known for some legendary noir novels: In a Lonely Place (novel reissued by Feminist Press; film directed by Nicholas Ray and starring Humphrey Bogart); Ride the Pink Horse (memorably filmed by Robert Montgomery, who also appeared in a 1948 radio production of In a Lonely Place); The Fallen Sparrow (featuring a terrific John Garfield); and The Blackbirder, among others. In a Lonely Place provides a look into the mind of a serial killer, long before the modern spate of such novels, and Hughes skillfully shows the reader how the character became what he is. A longtime mystery reviewer for the Albuquerque Tribune, Los Angeles Times, and other newspapers, Hughes died in 1993. Frances Noyes Hart, a distant connection of Edith Wharton, served as a YMCA canteen worker in France during World War I and wrote three mystery novels, including The Bellamy Trial (1927, "probably ... the greatest mystery story written this century," wrote Herbert Carter in the American Mercury). 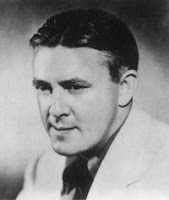 Released as a film in 1929, The Bellamy Trial was based on New Jersey's Hall-Mills murder case, which also influenced F. Scott Fitzgerald's The Great Gatsby. Her other novels include the Halloween mystery Hide in the Dark (1929) and The Crooked Lane (1934). She also published a collection of short stories (Contact and Other Stories, 1923). 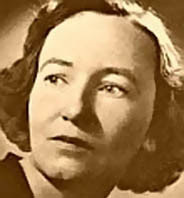 Her story "Contact" won second place in the O Henry Memorial Prize competition in 1920 (other second-place winners were Fitzgerald and Alice Duer Miller). She died in 1943. Both writers appear on the Haycraft-Queen Cornerstone list: Hughes for her debut novel The So Blue Marble (1940), Hart for The Bellamy Trial. Both are out of print in the United States, although it appears you can still buy a French translation of The Bellamy Trial. I became curious as to how many titles on the list are out of print, so checked the list against Books in Print. My results: approximately one-third (55) of the entries on the list (181 books) are out of print in the United States. A very few (e.g., Francis Iles [Anthony Berkeley Cox], Before the Fact; Edmund Crispin [Robert Bruce Montgomery], The Moving Toyshop) are available in Britain. I've reluctantly had to categorize some titles that are only available through POD as in print, knowing that some readers would prefer a traditionally published book and would not like to pay the sometimes expensive prices for POD. I've been concerned about the overall lack of knowledge about mystery history and fear the inevitable result: the fading away of vital works such as these. I do have to admit to a lack of total accord with Messrs. Haycraft and Queen on some of their choices; I could have jogged along quite happily without ever reading A. A. Milne's The Red House Mystery (1922), which I thought was pretty awful, was glad that Raymond Chandler concurred (in The Simple Art of Murder), and wondered what all the fuss was about. My out-of-print list follows below. Film composer and two-time Oscar nominee David Raksin, well known for his haunting theme for the 1944 film Laura, was born today in 1912. He died in 2004. 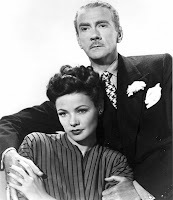 In addition to Laura, Raksin's mystery music credits include The Hound of the Baskervilles (1939), The Adventures of Sherlock Holmes (1939), Fallen Angel (1945), Force of Evil (1948), Whirlpool (1949), and Al Capone (1959). Nonmystery music work includes The Secret Life of Walter Mitty (1947), Forever Amber (1947), and the TV series Ben Casey (1961). Trevor, Glen [James Hilton]. Was It Murder? [aka Murder at School]. 1931. New York: HarperPerennial, 1980.
detective novels are hardly worth taking seriously"
Colin Revell, an Oxford graduate halfheartedly working on "a full-length satirical epic in the manner and metre of Don Juan," is summoned by the headmaster of his alma mater Oakington school because of his reputation as a "neat solver of mysteries" (2–3). A wealthy young pupil has met with an "accidental" death, leaving his fatuous cousin, a teacher at the school, as the prime suspect. Soon the appearance of two additional bodies and an attempt on Revell's life complicate the case. Obviously, both Goodbye, Mr. Chips and Was It Murder? benefit from Hilton's background---his father was a schoolmaster. Hilton's pacifist sentiments are evident in the novel, as seen in the remarks of the shellshocked teacher Lambourne: "After seeing three years of purposeless slaughter backed by all the forces of law and religion, I find it hard to share in the general indignation when somebody tries on a little purposeful though no doubt unofficial slaughter on his own" (49). An interesting twist is the failure of the amateur sleuth and the triumph of the shrewd professional policeman, contrary to the usual brilliant amateur/bumbling official scenario. Was It Murder? is not currently in print, but a number of used paperback editions are available (e.g., Dover, Bantam). James Hilton (1900-1954) is best known for his novels (and subsequent films of) Lost Horizon (1933); Goodbye, Mr. Chips (1934); and Random Harvest (1941); he also won an Oscar for his work on the screenplay for Mrs. Miniver (1942). At the time of his death, it was estimated that Goodbye, Mr. Chips and Lost Horizon had each sold over 3 million copies. In addition to Was It Murder?, Hilton wrote three stories for Ellery Queen Mystery Magazine: "The Mallet" (Sept. 1942; rpt. The Queen's Taste, 1946), "The Perfect Plan" (March 1946), and "The King of the Bats" (March 1953).